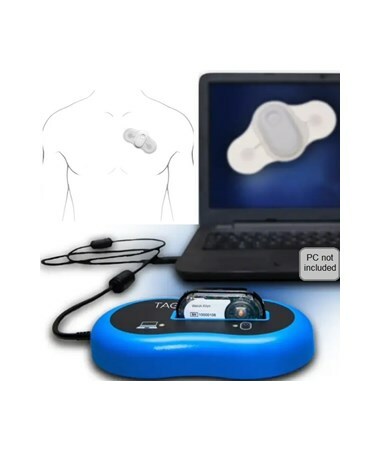 The Welch Allyn TAGecg™ 7-Day Wearable ECG Sensor is a cost-effective, continuous and easy-to-use recorder designed for reliable, quick and ensured arrhythmia detection and management at the point of care. Enhance a patient's care and financial outcomes from any medical facility. State-of-the-art and Dependable. 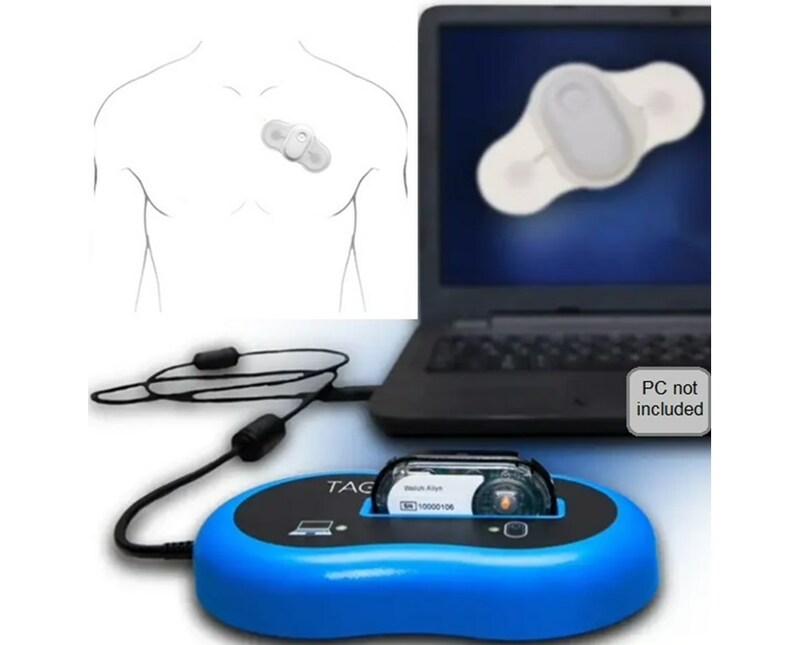 Designed with a small-form-factor, the TAGecg™ Wearable ECG Sensor is wireless and water-resistant which ensures continuous recording of ECG data without interrupting the patient's daily activities. 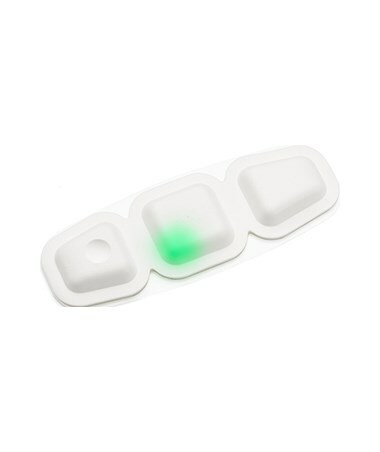 The single-lead gathers ECG data non-stop for up to 7 days. After a week, the patient can return to the doctor and have the patch removed which are plugged to a computer to see the test results. Reports are generated right away and show actionable snapshots of patient data. Early Detection. With one in three patients diagnosed with atrial fibrillation having a stroke, the TAGecg™ Wearable ECG Sensor provides doctors with accurate and reliable test results which are analyzed and interpreted. Its proprietary algorithm allows physicians to effectively detect A-fib and arrhythmia at the point of care with greater than 98% PPV and a sensitivity of 96% after 7 days of continuous ECG monitoring. 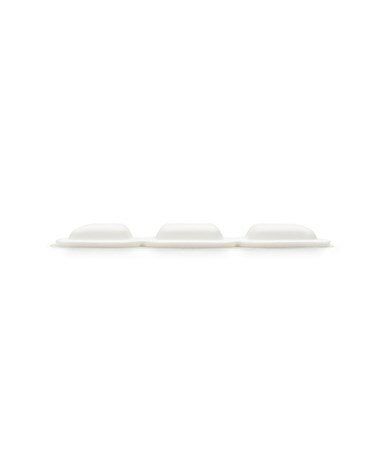 The Wearable ECG Sensor optimizes diagnostic yield, removes unnecessary costs & delays because of third-party services, requires no dedicated staff and improves patient care & overall comfort. 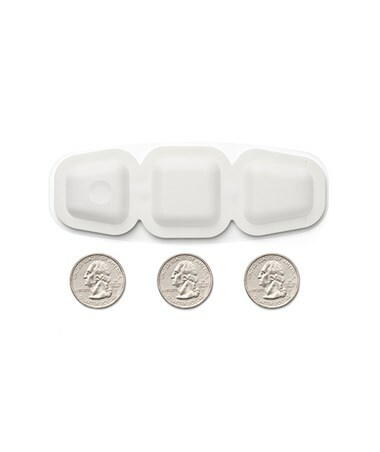 The Welch Allyn TAGecg™ 7-Day Wearable ECG Sensor comes in 5 per pack.